Rock music and BYUtv. 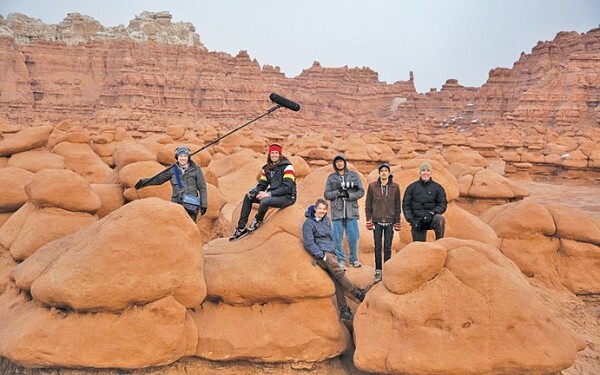 Perhaps it’s an odd match, but those are two components of Audio-Files, a new music documentary series that’s part of BYUtv’s effort to reinvent itself as a supplier of high-quality, marketable entertainment. Audio-Files is the brainchild of 33-year-old Matt Eastin. The self-proclaimed “video guy” (“filmmaker,” he says, is inaccurate) worked various odd jobs in the film industry before going independent to fulfill his dream of filming live music performances. In 2010, Eastin began collaborating with friends on a project called The Occidental Saloon. The series—influenced by Vincent Moon’s “Take Away Show”—featured mostly local musicians performing in unique and intimate settings. With each installment, the series gained popularity, and it wasn’t long before opportunity knocked. Literally. At first, Eastin wondered if he could get bands onboard. After all, in regard to most rock bands, BYUtv is about as alluring a network as C-SPAN. “I thought convincing bands that this network is changing and being suddenly open-minded might be tough,” Eastin says. Eastin contacted bands like Arcade Fire, The National and Fleet Foxes, to no avail. “These guys were going to the BYUtv website and seeing a white guy in a suit standing at a pulpit wearing a lei, and that wasn’t really selling them on the vision we had,” Eastin says. Despite the initial turndowns, Eastin was able to put together a roster featuring locals Neon Trees and Joshua James, along with national acts like Damien Jurado and Low, among others. The next installment will feature Paper Route on June 12. The series premiere featured Imagine Dragons. Dan Reynolds, the band’s frontman, spoke of the power of what Eastin calls “Occidental Pieces”—portions of an episode in which the band plays an intimate version of a song on location. Corey Fox, owner of Velour Live Music Gallery and art director for Audio-Files, says the show has the potential to further establish Provo’s reputation as a music and arts center. For BYUtv, the value of developing programs like Audio-Files lies in its ability to attract a more diverse crowd. It’s fitting that Eastin portrays people pursuing their passions while he pursues his own.